Q1: What is the Allied Voyage? A1: Voyage Quests are unlocked at Castle Lv 4. You can start inviting friends at Castle Lv 7. Complete Voyage Quests together with your friends, and you'll both get rewards! Note: The steps in point 3 must all be done on the same device and network. We recommend that you download the game on a strong Wifi connection and not switch IP addresses. This will ensure that both you and your friend can be linked." Q3: How do I change the default app used for invites? Q4: I've sent invites to my friends. When will I get the Invitation Reward and Comrade Reward? A4: You will get the Invitation Reward once your friend claims the Welcome Gift. Comrade Rewards will be received once a friend completes an Allied Voyage Quest and claims their Voyage Reward. Q5: My friend invited me to download Lords Mobile but I haven't received my Welcome Gift. 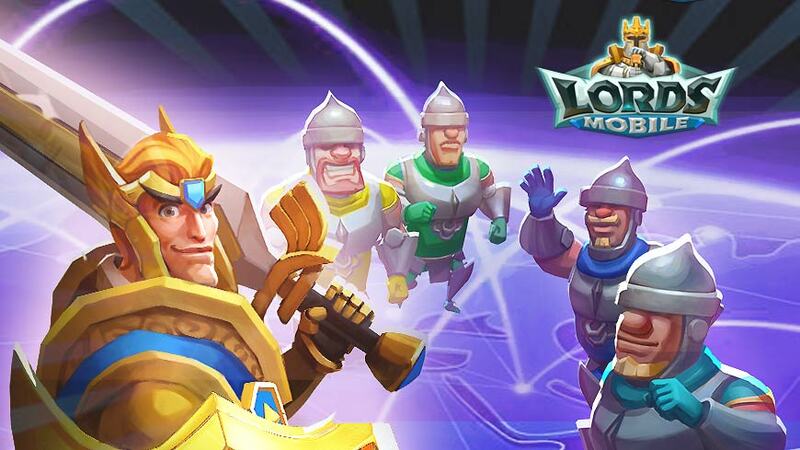 A5: Welcome to Lords Mobile! If the invitation is successful, a gift box will appear in-game. You can collect your Welcome Gift after completing the tutorial quests and linking your account. Q6: Some players can see the Allied Voyage icon in the Others menu, but I can't! A1: Allied Voyage icon will be unlocked at Castle Lv 7. The system will guide you through this new function once you meet this requirement. Q7: What if I have completed unrepeatable tasks (e.g. reaching a certain Castle Lv, clearing a certain Hero Stage) before activating the Allied Voyage Quest? A7: These tasks will be considered completed once you activate the Allied Voyage Quest. Q8: Can I do different Allied Voyage Quests at the same time? A8: No. You must complete a Allied Voyage Quest and claim your reward to unlock the next Allied Voyage Quest. Q9: Can I check the progress my friends have made on the Allied Voyage? A9: Yes. Tap on "Others – Allied Voyage" to see how your friends are faring. You can tap on the portraits on the roadmap to see your friends' names. Q10: Is there a cap to how many friends I can invite? Will there still be rewards if this number is exceeded? A10: You can have a maximum of 100 friends, but only 10 of them can be on your Allied Voyage at any one time. Once you have reached the maximum amount of friends (10 in the Allied Quest, 100 friends invited in total), friends who use your invite link can still get the Welcome Gift. However, they cannot join your Allied Voyage, or show up on your Allied Voyage road map; you will also not get the Invitation Reward. Q11: My friend has disappeared before completing all Allied Voyage Quests! A1: If your friend has not completed all quests, but their quests have expired (Allied Voyage Quests only last for 14 days), they will disappear after you collect all their available Comrade Rewards. A2: If your friend becomes inactive, the system will reclaim their account and remove them from your friend list. Details can be found in in-game mail messages. Q12: The friend who invited me has quit the game! Will this affect my Allied Voyage Quests? A12: No, you will still receive the Welcome Gift and rewards upon completing each Allied Voyage Quest. Q13: I've invited tons of friends! Do I get a Comrade Reward when each of them completes an Allied Voyage Quest? A13: You will only get Comrade Rewards from friends on your Allied Voyage roadmap (you can only have 10 friends on your roadmap at any one time). You will get a Comrade Reward when a friend completes an Allied Voyage Quest. Q14: I can't open the invite link! / The link is empty! A14: The program you are using cannot open links. Copy the link and open it in an internet browser. If you are using QQ/WeChat/Kakao Talk/ Zalo on an Android device, please open the link in an internet browser. Next Next post: [Topic] How Did You Start Playing Lords Mobile?